west Texas and the Pan Handle area, unless you plant them in your yard. I have seen a lot of Bluebonnets in the Big Bend, but conditions have to be just right. One of my favorite Bluebonnets trails is along a portion of the La Bahía road. La Bahía (Goliad). 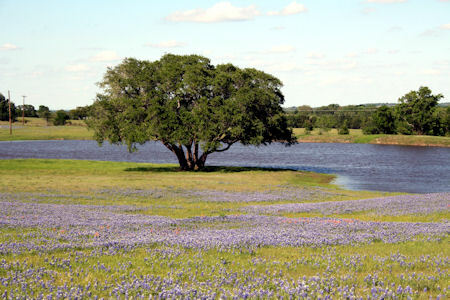 This Bluebonnet trail starts in Washington on the Brazos through Independence and ends in Burton. Only 34 miles it takes about an hour to drive if driving is all your interested in doing. You can easily spend the day if you open your eyes and see what's around you. Washington on the Brazos is a historic significant place in Texas History. While Travis, Bowie, Crockett and men were fighting Santa Anna and his Mexican army at the Alamo and group of other Texians were declaring independence from Mexico. 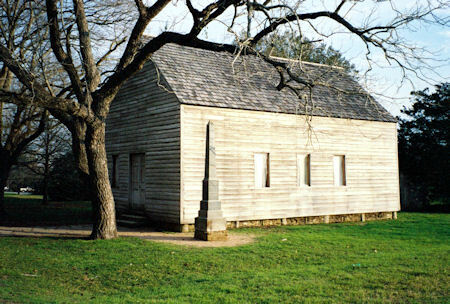 The Texas Declaration of Independence was signed March 2nd 1836 in small building located here at Washington in the Brazos. 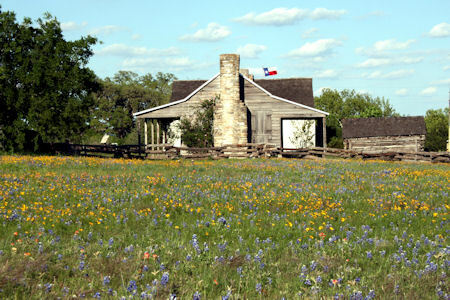 Today at Washington on the Brazos is a state historic site with very good museum, Texas colonial demonstration farm and in season, Bluebonnets. "Head northwest on Farm to Market Rd 1155 E (1.4 miles), Turn left at TX-105 W (3.7 miles), Turn right at Co Rd 93/Wm Penn Rd (4.6 miles), Turn right at Farm to Market Rd 390 E/La Bahía Trail." 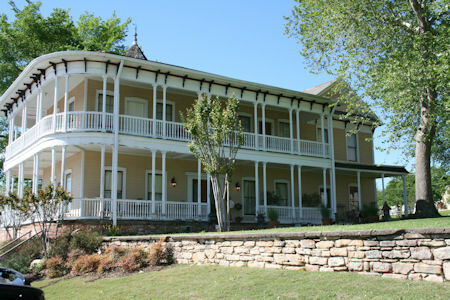 Independence, Texas was originally called Coles Settlement named for the original settler, one of Austin's "Old 300". The name was changed after the Texas Declaration of Independence was signed up the La Bahía Road. It's also the original home of Baylor University (Waco) and Mary-Hardin Baylor University (Belton). Both of these former campuses are now great places to see Bluebonnets and other wild flowers. Independence is also the home of the Antique Rose Emporium. It specializes in older classes of garden roses, native plants, old-fashioned garden perennials and herbs planted in display gardens. Also in Independence across from the 3rd oldest Baptist Church in Texas is the final resting place of Margaret Lea Houston, Sam Houston's wife. "Head west on Farm to Market Rd 390 E/La Bahía Trail E toward Farm to Market Rd 50 (10 miles)"
Gay Hill was an educational and religious center on the La Bahía Road in early Texas. Rev. Hugh Wilson established the second Presbyterian Church in Texas there in 1839. Today there is very little in the way of a town left but it is the best of the best on this Bluebonnet trail to see vistas of Bluebonnets and other wildflowers. Oh, did I remind you to bring your camera? 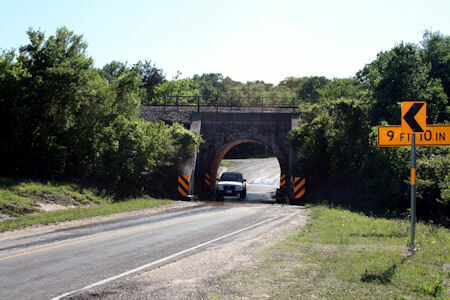 Burton, Texas, the newest town on the La Bahía Road Bluebonnet Trail was established in 1862. The Houston and Texas Central Railway from Brenham to Austin came to Burton after the Civil War. With the railroad, a booming cotton economy and a cotton gin the population soared to 600 by 1910. Today the railroad is gone, the booming cotton economy is gone, but the 95+ year old cotton gin is still in place. It happens to be the oldest operating cotton gin in America. Maintained and operated by the Burton Cotton Gin Museum. Each year in April, during Bluebonnet season, the museum holds an Annual Cotton Gin Festival. If you can plan your Bluebonnet tour to include the Cotton Gin Festival it would be a good idea.